Summary: Difference Between Port Replicator and Docking Station is that port replicator is an external device that provides connections to peripherals through ports built into the device. While docking station is similar to a port replicator, but it has more functionality. A docking station, which is an external device that attaches to a mobile computer or device, contains a power connection and provides connections to peripherals. Instead of connecting peripherals directly to ports on a mobile computer, some mobile users prefer the flexibility of port replicators and docking stations. A port replicator is an external device that provides connections to peripherals through ports built into the device. The mobile user accesses peripherals by connecting the port replicator to a USB port or a special port on the mobile computer. A docking station is similar to a port replicator, but it has more functionality. 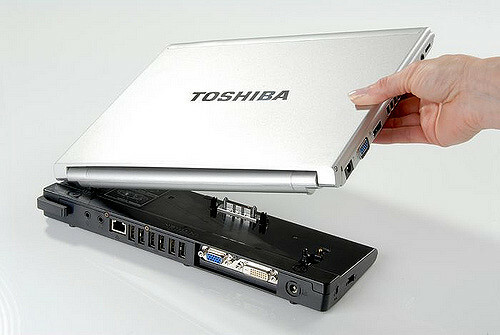 A docking station, which is an external device that attaches to a mobile computer or device, contains a power connection and provides connections to peripherals; it usually also includes slots for memory cards, optical disc drives, and other devices. With the mobile computer or device in the docking station, users can work with a full-sized keyboard, a mouse, and other desktop peripherals from their traditional notebook computer, netbook, or Tablet PC.